Tehran, March 3, IRNA -- Iran’s Islamic Revolutionary Guards Corps (IRGC) says it is intensifying its monitoring of online crimes on social networks, specifically Facebook. 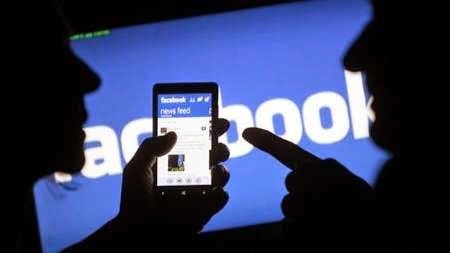 The IRGC Cyber Security Command’s Center for the Investigation of Organized Crimes said in a statement on Sunday that it plans to expose the insecurity of Facebook for organized moral crimes. The IRGC unit said that it managed to monitor the activities of eight million Facebook users through employing a surveillance project named “Spider,” and made several arrests on different charges, including insulting religious sanctities and conducting immoral activities. It further announced plans to monitor online crimes on other social networks, including Instagram, Viber and WhatsApp within the next two months, Press TV reported. Last month, the IRGC unit said it had arrested several Facebook users, who sought to spread corruption and undermine the Iranian-Islamic life style. The statement noted that these people, who were supported by certain Western governments, had created 350 Facebook pages in two years. Iran’s Telecommunications Minister Mahmoud Vaezi said in November that Iran would have “smart filtering” within six months to get rid of Internet content that deem offensive or criminal.